This site is located in Salvador. It uses three stage crushing. Pebble are crushed by jaw crusher primarily, and then it goes into cone crusher for secondary crushing. 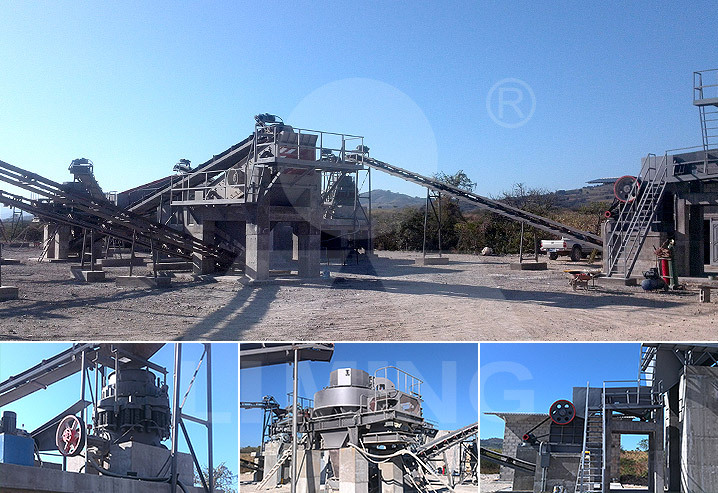 Sand making machine will shape the stones and unqualified aggregate should be reprocess in the previous process. Finally the products will be packed and used in road construction. Equipment: Jaw Crusher PE500X750, Cone Crusher CSB75, Sand Making Machine VSI7611, Vibrating Screen 3YZS1848, etc.